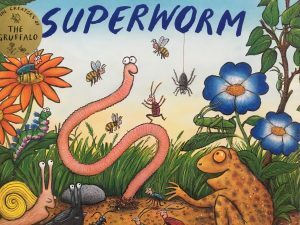 Join us in the garden area, be Superworm as you enjoy our barefoot sensory walk, dip your toes in our paddling pool & wriggle through our tunnels. Why not bring a rug, sit on our cushions & interact with this lovely little story by Julia Donaldson filled with energetic rhyme. A very relaxed storytelling adventure with singing for everyone along the way. Bring babies, toddlers, young children, in fact the whole family as grandparents will love this. If you have a crawler or early walker there’ll be lots of space for you to interact too! 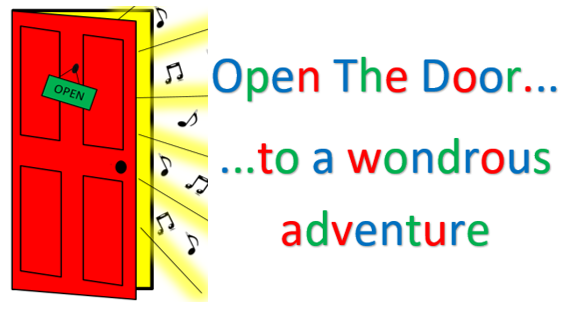 Open The Door enjoy inspiring a love of books & reading so we’ll have music, props & of course our special StoryBasket craft & colouring for you to do together & then take home. Places must be booked in advance & are £5 per child with up to 2 accompanying adults going free. There will be a community coffee morning being held in the building until 12noon, so a chance to catch up with friends after the StoryTime. Please note that in the event of rain, the StoryTime will be held in the community hall.